Masses of apple blossom pink! 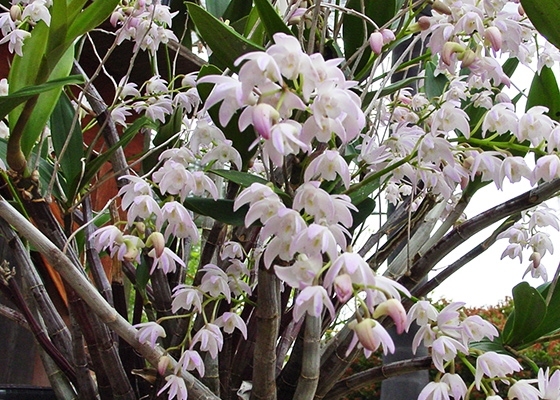 This primary hybrid of hardy Australian dendrobium species is a prolific grower and bloomer, renowned for its long lasting flowers. Can be grown with your cattleyas and cymbidiums.